“Flock of sheep”. Licensed under Public domain via Wikimedia Commons. The simplest definition of wool is hair grown by sheep. It now includes hair from several types of goats as well as llamas. Wool is one of the oldest fibers used by humans, and sheep are among the earliest domesticated animals. From the many breeds of sheep come many varieties of wool, offering many choices to mattress manufacturers and their customers. Since the beginning of recorded history, wool has been used in clothing, blankets and tents. It was both woven and knitted. As far as we know, sleeping mats were first made with straw, but at some point, wool was used in these precursors of mattresses. Still, it was only one of the available choices. Early mattresses were made using available materials for the ticking and for the fill: linen, straw, sawdust, moss, cotton, wool. Wool is still used today, not only as batting and as cover fabric, but also as the base pad on the bottom of the mattress and as a fire retardant in the quilting on the top and sides. Wool has several benefits when used in mattresses. The most commonly known are temperature regulation and cushioning. As to temperature regulation, wool not only keeps us warm, it can also keep us cool. The texture of wool insulates the user. Wool clothing is able to keep a person warm even when it is wet. But wool can also cool. It is breathable, letting air circulate. It also wicks moisture, including perspiration, away from the body (or the sleeping surface). This not only dries the user, but evaporation has a cooling effect. The structure of wool makes it a cushioning material. The strands are curly. In bulk, they act like organic springs, though not as strong as steel. One manufacturer, W. J. Southard, says they use a blend of wools from several sheep breeds. The wools are selected for “breed, color, strength and micron-width,” and are blended to maximize resiliency, the key to cushioning. The lanolin in wool repels dust mites, a major carrier of allergens. Also, wool is a natural fire barrier, making chemical flame retardants unnecessary. The kinds of wool used, as described by manufacturers, are Pashima, Joma, Mira, Merino, Angora, and lamb’s wool. Places this wool comes from are France, Germany, New Zealand, Australia, and the United States. Some lines of mattresses, or individual models, are advertised as having “organic” wool. This is wool from sheep which have not been subjected to chemical baths (a.k.a. sheep dip), and which has not been treated with chemicals. 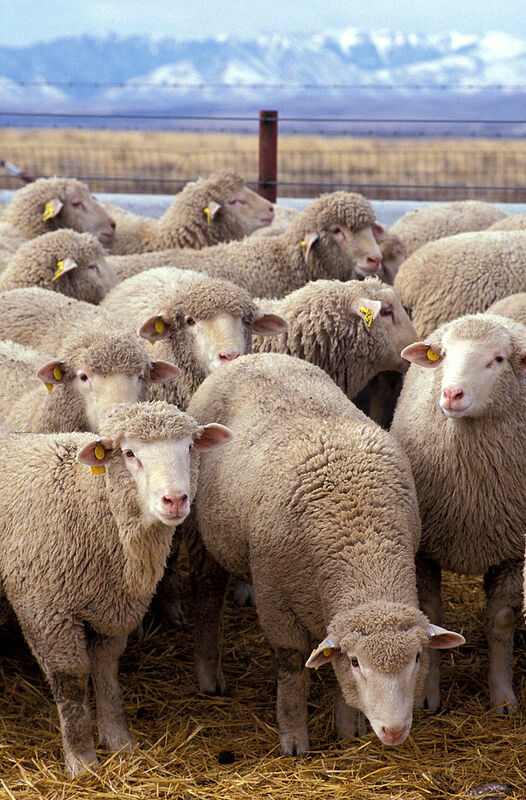 Wool produced in the U.S. includes Eco-Wool. This wool meets the specifications for organic, but is from small ranches which cannot afford the cost of the certification process. Wool is not used only for batting and pads. It is also used in the cover fabric of several mattresses. Usually this is in a blend, mostly with silk (another animal fiber). Often it is the quilting material. At least 29 of the mattress manufacturers reviewed in our mattress reviews here on Beds.Org use wool in some of their models. However, there are other manufacturers, such as the Wool Bed Company, who make all-wool mattresses. This entry was posted on Tuesday, July 1st, 2014 at 7:44 PM and is filed under batting, beds, fabrics, fire blockers, mattress covers, mattress reviews, mattresses, quilting, upholstery, wool . You can follow any responses to this entry through the RSS 2.0 feed. You can leave a response, or trackback from your own site.